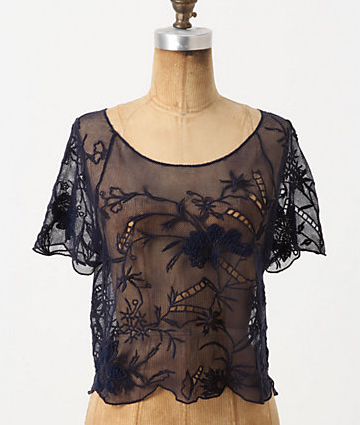 I was looking for atheltic style mesh tops to post when I came across this beautiful, vintage-esque piece that I immediately fell in love with! I still fear sheer, but I think this may be worth trying it out with! Buy at Anthropologie for $88 and layer over a neon pink or mint green tank for extra points!